When studying a new language, people want to learn common expressions. 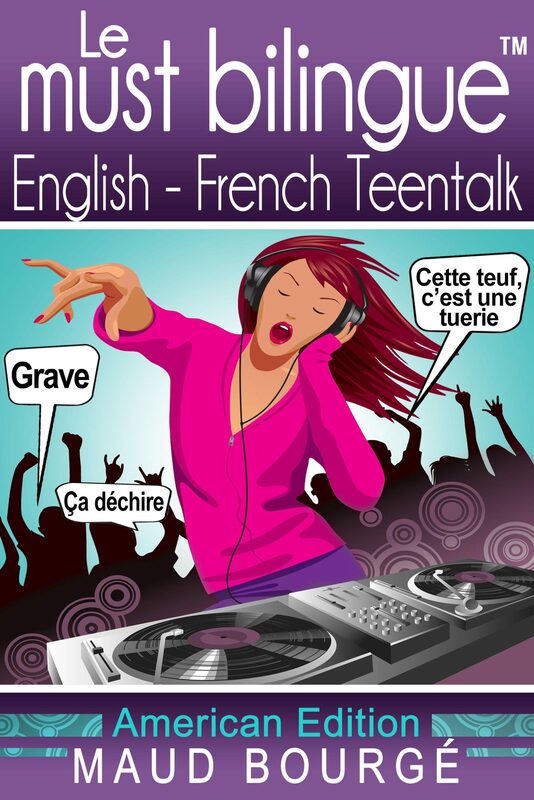 Le must bilingue™ English-French Teentalk fulfills this need for learners of French. This American edition cracks the code of American teenagers in particular and gives you the corresponding expressions used by French teenagers. You will not learn these expressions at school or college due to their slight taste of the forbidden and because a language as it is spoken is rarely found in academic books. Contemporary words and street words, by their nature, never cease to evolve, hence the list focuses on words that tend to last, or at least survive one generation. With Le must bilingue™ English-French Teentalk, you will surprise your friends with your knowledge of the teenage language, but you will surprise yourself first and foremost because the turns of phrase proposed will help you better understand spoken French and thus recognize for instance expressions in your favorite French movies. A word can mean one thing and its opposite depending on the tone and the context so it is wise to tread cautiously so as not to hurt anybody's feelings. Pierre Desproges, a famous French humorist, when asked if one could laugh about anything, wisely replied: "yes, but not with just anybody." The same applies to familiar language which can be the norm among friends and is best avoided elsewhere. Otros ebooks de Maud Bourgé.